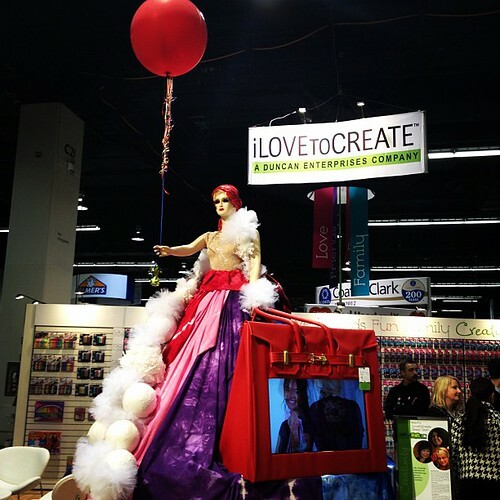 Our Creativity mannequin proudly displaying her red balloon! Another fun and busy day on the tradeshow floor at the Craft and Hobby Assocation Winter Show for 2012. Here's some of the fun photo action in our All you Need is... booth! 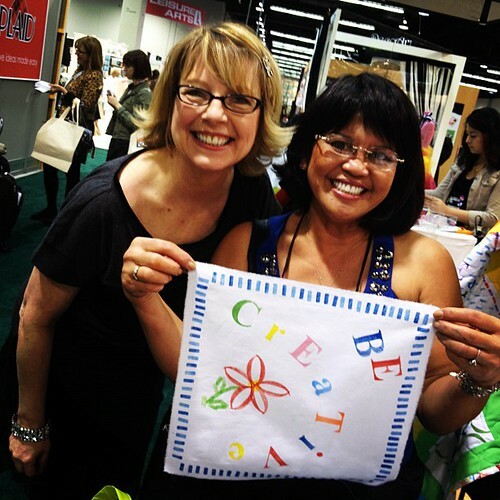 Pattiewack and her designer friend show off a quilt square using our new Scribbles Fabric Stamps! We are putting together quilts to be auctioned off for various Boys and Girls Club nationwide! 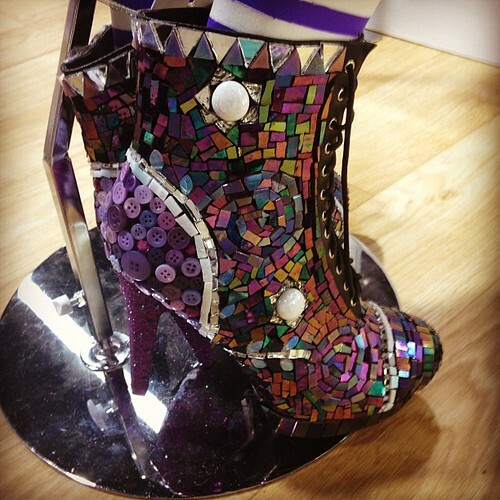 Tiffany Windsor and Heidi Borchers created these amazing mosaic shoes using Aleene's adhesives! Savannah Starr shows off her cool Tulip Body Art painted look at the end of Day 2. Look at those awesome shoes and necklace painted by Hope Perkins. LOVE! 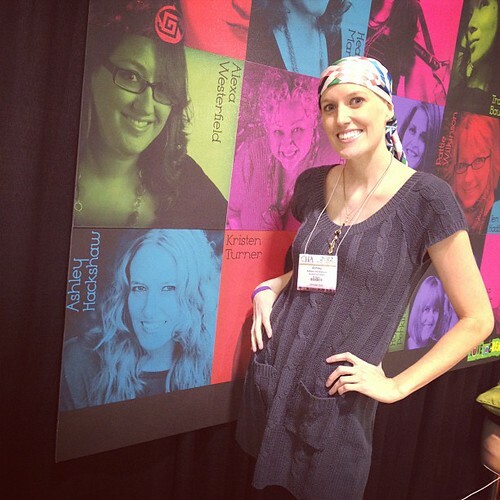 Blogger Ashley Hackshaw of Lil Blue Boo was in the house and meeting with friends and fans in the Bloggers' Lounge!